If your heating system goes out, you should immediately call a trusted HVAC company, such as Verne & Ellsworth Hann, but many homeowners consider trying an alternative to heat their home. It’s important to know the safety issues when using another method to heat your house. You should never burn anything larger than candles inside your home without proper ventilation to the outside. Any type of heater, except electric, should be vented. 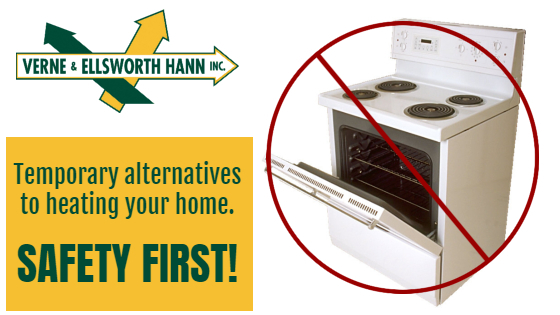 Do not use a gas or electric oven or surface unit as a source of heat. A gas oven may go out or burn inefficiently which can lead to carbon monoxide poisoning. An electric oven was not designed for space heating. Safer alternatives to heat your home include space heaters, fireplaces, or wood, gas and oil heaters. Always take precautions when using these alternatives. Select one room in your home to be heated. Choose a room with the least amount of windows and avoid uninsulated walls. Keep doors closed to isolate the room you choose. Always put on extra clothes to conserve body heat and use extra blankets to keep warm. It can’t be stressed enough that if your furnace or boiler stop working, you should leave it to the professionals, such as Verne & Ellsworth Hann, to repair or replace your heating system. Alternative heating may be needed in a pinch but should never be used long term and should always be used safely. Verne & Ellsworth Hann has been servicing Cleveland Heights and most of Northeast Ohio for over 64 years. Owned and operated by brothers Bill and Chris Hann, Verne & Ellsworth Hann is the ONLY Hann family owned heating, cooling and plumbing company in Cleveland. 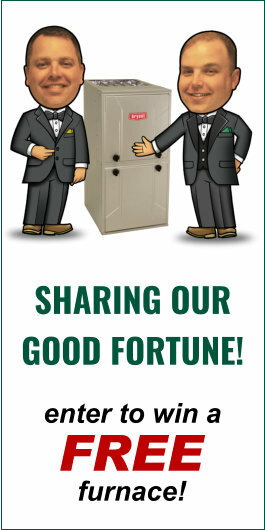 Should you find yourself without heat, give Verne & Ellsworth Hann a call. Should you need a temporary alternative to heat your home, think safety first!